The thing about Japanese movies is that you never know what you're going to get--particularly when that movie falls into the 'thriller' genre. With Japanese films, 'thriller' is a genre that allows Japanese filmmakers to be as creative as possible, pushing the bounds of reality farther than most Western movies would allow. What passes for a thriller in Japan might easily be labeled 'fantasy' or 'sci-fi' in the Western film industry. This kind of broad-minded creativity means that when I start a Japanese thriller, I'm prepared for anything (or as prepared as I can be). While Grasshopper was not the most intense film I've ever seen, it was one of the strangest. Most of the strangeness is the result of the editing. The editing isn't poor and confusing like in many wuxia films--rather, it leaves large gaps in the viewers' knowledge and doesn't fill in those gaps until the end of the movie approaches. 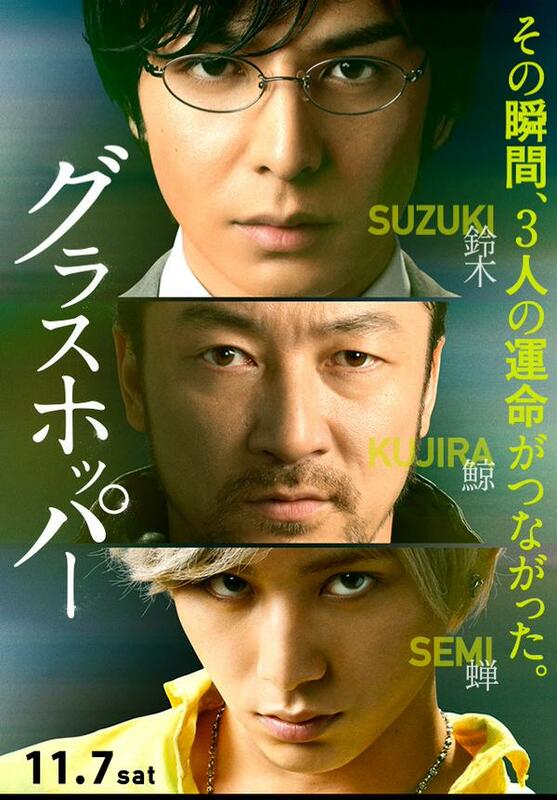 The film follows a handful of characters--Suzuki (Ikuta Toma), a mild-mannered elementary school teacher seeking revenge for the death of his girlfriend; Kujira (Tadanobu Asano), an assassin haunted by the ghosts of those he has killed; and Semi (Ryosuke Yamada), another assassin--and the star of the film, in my humble opinion. Ikuta Toma and Tadanobu Asano are fabulous actors--veterans in their field. But Ryosuke Yamada, a young Japanese pop singer, steals the show. His character, Semi, is an easygoing, strangely-endearing contract killer. He and his father figure/boss, Iwanishi (Jun Murakami), provide my favorite dynamic of the movie. It's an unexpected relationship and a delight to watch, as Iwanishi and Semi genuinely care for one another like family and attempt to show it by bickering. The film is rated PG-13 for language, violence, and some sexuality but remains cleaner than most Western thrillers of the same rating. 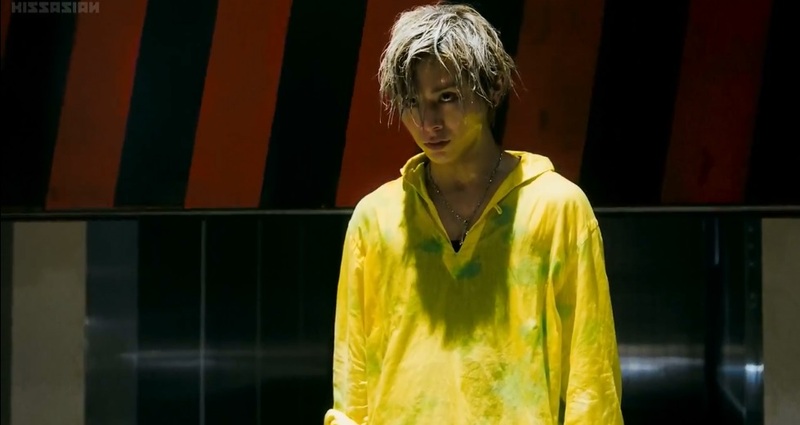 The human element is very strong as Suzuki struggles with how far he can go in his pursuit of revenge, and Semi and Iwanishi attempt to awkwardly care for one another, and even Kujira has a strangely warm, noble side to his character. In fact, much of the revenge plot seems to fade a bit in favor of the characters--which I'm okay with, as the plot is fairly simplistic. It took me a while after I finished it to decide whether or not I'd enjoyed Grasshopper--and I came to the conclusion that yes, I had thoroughly enjoyed it for Semi's sake. I would recommend the movie if only for his character. If you enjoy odd thrillers that leave you feeling sad but also strangely warm and fuzzy, Grasshopper is the movie for you. Have you seen any Japanese thrillers and if so, what did you think?